‘Vermiculture’ literally means worm growing or worm farming. When earthworms are used primarily for the production of compost, the practice is referred to as vermicomposting. Why all the excitement about earthworms? Earthworms are truly amazing creatures that hold vast potential for addressing many of our current ecological concerns, including climate change and food security. Perhaps surprisingly, this is not breaking news. 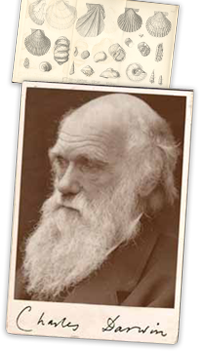 After writing The Origin of Species Charles Darwin devoted much of the rest of his life to the study of earthworms. Earthworms aerate, till and fertilize the soil, breaking down organic waste into plant-available forms, improving the soil structure and nutrient and water-holding qualities of soil. In the past 50 years in particular, the use of chemical fertilizers, over-tillage of the soil and the use of pesticides have killed earthworms and other beneficial organisms, leading to poor soil fertility, loss of soil structure and soil erosion. At the same time, rotting organic waste dumped in landfills is polluting our underground water supply and releasing vast amounts of the ‘greenhouse gasses’ responsible for global warming. Earthworms eat organic waste and give us healthy soil and organic fertilizer in return. Put simply, it is a deal that humanity cannot afford to pass up. As worms move through soil and decaying organic matter they ingest (eat) and aerate it, depositing castings as they go. These castings are rich in nutrients and beneficial soil organisms. Inside the gut of one worm there are enzymes and masses of bacteria and microbes. Everything that passes through the gut of an earthworm is coated with these beneficial microbes and bacteria. While fertile soil has in the region of 5-million microbes per gram, worm castings have been found to contain up to 100-million microbes per gram – up to 20 times more! In the soil, these microbes continue break down organic matter into plant-available forms, thereby enabling plant roots to take up nutrients that would otherwise have stayed bound in the soil. These beneficial organisms also suppress the growth of pathogens , which means healthy soil and healthy plants. Not suprisingly, it is these very microbes that play a major role in determining soil fertility, so it is ironic that earthworms are the very creatures that are killed by inorganic fertilizer applications. While we have been taught that bacteria are ‘bad’, the vast majority of bacteria are not pathogenic to humans, in fact many are beneficial and essential to sustaining the processes of life. As long as the decaying organic matter is maintained at the correct pH and prevented from becoming anaerobic (when there is too little oxygen), no foul odors are created, pests are not attracted and the process remains hygienic. It is only when the pH is out of balance or the decaying organic material becomes anaerobic that pathogens and toxin-producing bacteria begin to proliferate, and pests are more likely to be attracted. Researchers have identified and named thousands of distinct species of earthworm, but to date only around six have been identified as useful in vermiculture systems. These species have the ability to tolerate a wide range of environmental conditions and fluctuations and they are not adversely affected by handling and disruption of their habitat. Other qualities that make these species suitable include relatively short life spans, and rapid growth and reproductive rates.Eisenia foetida and Lumbricus rubellis are the earthworm species most commonly used in vermiculture. Both are referred to by a variety of common names, including red worms, red wigglers, tiger worms, brandling worms, and manure worms. These two species are often raised together and are difficult to tell apart. 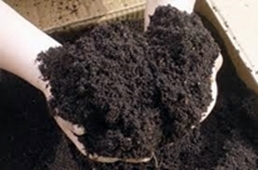 Earthworm systems are typically managed for one of three reasons; waste management, production of worm biomass and production of castings (vermicomposting). Worms 4 Africa’s interest in vermiculture primarily has to do with the promotion of environmentally sound waste management practices, but also the beneficial re-use of waste/resources through the production of solid (vermicompost) and liquid fertilizer (vermi-tea or worm tea). Our goal is to supply, develop and in certain cases maintain well-run systems that meet the stringent requirements of our clients, providing both exceptional service and environmental quality. – two closely-related earthworm species that are very difficult to tell apart. Although this species originates from Europe, they have spread around the world in soil, plants and crop residues. They have established themselves in compost heaps and gardens – wherever conditions are favourable. They will survive in your garden if it has a thick, moist layer of leaves or mulch, and in your compost heap. They are not regarded as invasive of natural habitats and do not pose a threat to natural biodiversity. Earthworms play an important role in decomposition, cycling of nutrients and building up healthy soils. Earthworms are only able to consume about their own weight in food each day, so you may have to be patient and wait for the population to build up. If you are not the patient type or need immediate results, you may want to order several thousand red wrigglers when you purchase your worm bin, or order more earthworms once you have it established. We ship earthworms by courier or mail around South Africa. Don’t worry, they travel well and we will make sure that they have a comfortable journey. Lets face it, worm farming isn’t exactly rocket science but things can go wrong if you are not paying attention. Maintaining a successful worm need not take much effort and is really based on one thing — observation! There are quite a few things that you can do to make sure your bin is operating optimally, so take the time to get to know how your bin works (read the instructions that come with it). Maintaining a healthy worm bin depends on keeping the environmental conditions in the bin just right. The first consideration is avoiding extreme temperatures – place the bin so that it is not exposed to direct sunlight for long periods (particularly in summer) and provide protection from frost / freezing. 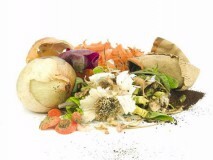 The next most important consideration is the condition of the vermicompost and the bedding. These should be kept moist (but not too wet) and it should be kept aerated (mix the vermicompost at least once a week). While vermicompost helps to keep temperature and moisture within acceptable levels – and earthworms can often be found in it – the earthworms just love being in bedding. 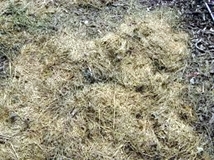 Bedding is the lower-most layer and it can be made from shredded newspapers (avoid glossy and full-colour print), computer paper, cardboard, hay, peat moss, compost or composted / aged manure. Bedding materials high in carbon / cellulose are best because they help to aerate the bin, thereby keeping the process aerobic and providing the worms with sufficient oxygen. 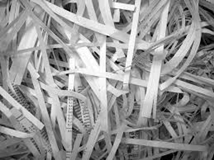 Since not everyone has access to a shredder, we recommend tearing or cutting strips of newspaper 1-2cm wide, fluffing the layers out and (when the system is dry) soaking them in water. Allow the excess water run off the strips, bunch them together and then place a layer 4-6 cm thick over the surface of the top. Keep the bedding fluffed (don’t allow it to compact into a dense, smothering layer) and place the worm food into and under the bedding. 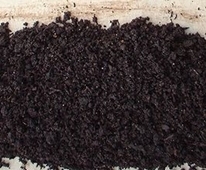 Mix a bit of the food and bedding into the vermicompost layer below it, and add new bedding when it becomes thin. If you maintain healthy bedding you should be well on your way to keeping your bin healthy and earthworms happy – but even experienced worm enthusiasts don’t get it right all the time! If things don’t look as they should, the table provided below is a handy way to work out what is wrong and how to correct it.